When not pro­tect­ing ba­by harp seals in Ca­na­da and Whales in Antarctica as the Sea Shep­herd ship doc­tor, Mer­ryn specialises in children’s health. She works with chil­dren fac­ing de­vel­op­men­tal problems like autism and other is­sues like obe­si­ty, be­haviou­ral and men­tal health problems. When not pro­tect­ing ba­by harp seals in Ca­na­da and Whales in Antarctica as the Sea Shep­herd ship doc­tor, Mer­ryn specialises in children's health. How and why did you go vegan? I’ve always been motivated to try to help prevent and alleviate suffering, particularly in those who are most vulnerable. In our society, children and animals are among those who suffer the most from our bad habits of over-consumption, poor relationships and not paying enough attention to caring for others. I became vegan in 2003 when I realized that being ‘vegetarian’ wasn’t really vegetarian – animalslose their lives to the dairy and egg industries as well. As I read more about veganism it became clear that it was the right choice: ethically, environmentally and for health. Animals suffer immensely when they are part of the industrialized meat, dairy, egg and other animal industries. The environmental and health consequences of eating dairy, eggs and meat are profound. We’re destroying some amazing parts of the earth so that people can eat animal products for pleasure, not survival. Our bad dietary habits are causing us disease and reduced quality of life. And with climate change, we’re at the point that eating animal products really is costing us the earth. The Earth is all we have! Did you encounter any difficulties? If so what were they and how have you dealt with them? At first it was hard to ‘give up’ cheese, and generally to get used to making different choices. Sometimes being vegan requires some planning ahead – packing your own lunch, ringing a restaurant ahead of time to check their menu, taking vegetarian sausages to a barbecue or finding the right place to eat out with family and friends. But, in the scheme of things, choosing soy milk rather than dairy at the supermarket or a different brand of biscuits is a small cost compared to the price animals and our planet pays for eating animals. It’s also really good for us psychologically to practice restraint and make ethical choices. It’s good practice for lots of other areas of life, and makes us stronger and makes life more fulfilling! Just having more ‘choice’ of what to eat doesn’t make us happier or healthier: it’s about having access to good choices. Whenever I am tempted, I remind myself of the consequences of eating animal products on the individual animal – and it doesn’t seem appealing anymore. How have your family and friends reacted to your veganism? How have your colleagues in the medical field reacted? Have you influenced anyone else to go vegan? My family still finds it a bit confronting sometimes that I choose to avoid foods they enjoy. It always helps to show them the variety and pleasure of great vegan food. My family definitely recognise the health benefits of eating more vegetarian meals. In general my colleagues are very interested in the choice to be vegan and very supportive when we choose places to eat out together. Even among doctors there is sometimes a lack of understanding about the nutritional aspects of veganism: I’d encourage vegans to provide what information they can about vegan nutrition basics to their local doctor. I’m not aware of anyone who has become vegan yet as a result of our conversations – but it’s a real buzz when someone says they are eating more vegetarian or vegan meals. Quite a few of my friends and family members eat less meat now that they’re becoming aware of the ethical, health and climate benefits of veganism. I think it’s important to encourage people and accept them moving at their own pace – that’s how lasting changes are made. How do you feel switching to veganism has impacted your health? Being vegan has been a really positive, healthy choice. I’m constantly amazed at how much younger older vegans look compared to other people their own age. I think vegans develop a good understanding of nutrition and generally make healthier food and lifestyle choices. Occasionally I’ve taken iron supplements, particularly if I’m drinking too much tea, which hinders iron absorption. Having said that, a lower iron diet is probably healthier for men, contributing to a lower risk of heart disease. Vegans should take a B12 supplement though, at least a couple of times a week. What are some of your favourite meals, takeaway and/or home cooked? Eating out, you can’t go past the Mostly Greens at Melbourne’s Vegie Bar – tempeh, vegies, brown rice and tahini: nutritionally complete and delicious! My favorite quick recipe at home is a red lentil soup I invented while studying hard for my specialist exams: just cook red lentils in water with some salt and fresh rosemary for about 20 minutes (while you study!). At the end, grind in fresh black pepper and stir in the juice of a lemon just before you serve it. People always ask for the recipe! Is there anyone who has particularly inspired or helped you? One of my friends inspired me to be vegan and since then I’ve met countless other impressive vegans. I find that vegans are often inspiring in other areas of their lives: they’re usually disciplined, competent and highly ethical and make decisions about how they live bearing in mind human rights, animals and the environment. Some of my favorite inspiring vegans are the crew of Sea Shepherd: they carry out great, high-energy ocean activism and recognize that, in a world of industrialized food production where so-called “bycatch” is used to feed land animals, you need to be vegan to effectively protect the oceans. There are lots of highly effective vegan animal rights and environmental activists around who recognize that postive change and social progress only occur when we make them happen. Have you encountered any absurd stereotypes, comments or negative attitudes? Sometimes the funniest comments come from vegetarians “I’m vegetarian but veganism is too extreme”. Really, what is the additional nutritional value of a slab of cheese full of saturated fat and salt – compared, say, to calcium and protein-rich tahini on bread? Occcasionally people get annoyed at particular vegans and confuse their frustrations with an objection with veganism in general. It’s pretty difficult to argue with veganism in the developed world when you make a reasonable assessment of the health, environmental and ethical benefits. What do you think are the most effective ways of helping veganism to become more mainstream? Every time we explain veganism to someone, share a vegan meal or ask about vegan food at a shop or restaurant it’s an action to make veganism visible and more respected. Solving the climate crisis will require a shift to more locally produced, truly vegetarian foods. We need to talk about how veganism will help us have a safe climate future in our workplaces and whenever we have a chance. Positive advertising campaigns about veganism are really important too. Merryn appeared in Season 3 of the Animal Planet series Whale Wars, about the Sea Shepherd Conservation Society’s ongoing struggle to end whaling. Marieke Hardy is an Australian screenwriter, blogger, radio broadcaster and reader. 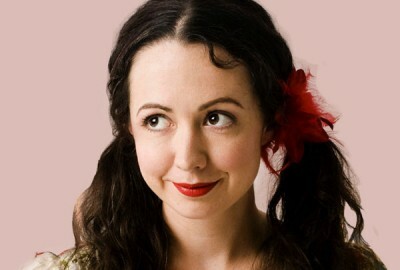 In addition to her regular column for ABC's The Drum, she is a senior contributor to Frankie magazine and The Age. 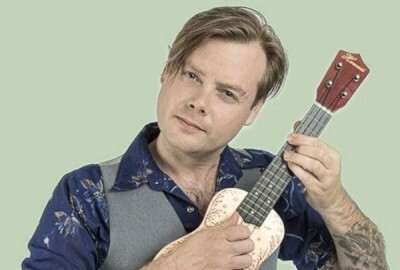 We speak with Lindsay ‘The Doctor’ McDougall, former host of the Triple J breakfast show and lead guitarist in legendary Australian band Frenzal Rhomb. Billy Simmonds - winner of the 2009 Mr. Universe title, is an Australian Professional Natural Bodybuilder, Powerlifter, Martial Artist and Vegan. "Vegan Bodybuilding is not only possible, its optimal," he says, "within three years from first lifting weights properly and walking on a Bodybuilding stage as a novice, I had won Mr. Universe and become a Pro Bodybuilder. Steroids? Meat? Not a chance." We talk tooth truth with vegan dentist Helen Voronina. 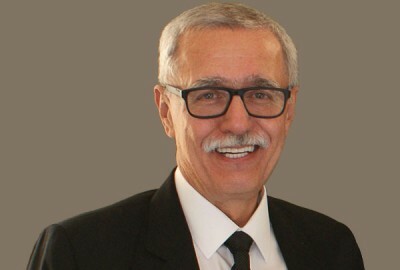 Philip Wollen is someone very special. He is a big man with a big heart and most importantly he's BIG on vision. Phil is a philanthropist, OAM, Queens Birthday Honours 2005, Australian of the Year Victoria 2007 and Founder of The Winsome Constance Kindness Trust (WCKT) www.kindnesstrust.com . Sharon is one of those special people who put themselves on the line to help others. 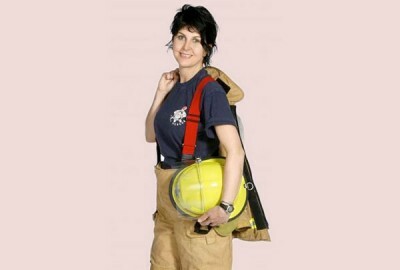 She's a longstanding and highly trained firefighter, often risking her life so others don't loose theirs. Her altruism isn't only to her own species, but it extends to all living beings. Sharon has worked hard for many years helping animals in her spare time. She's practical, down to earth and just the sort of person you want nearby in an emergency.